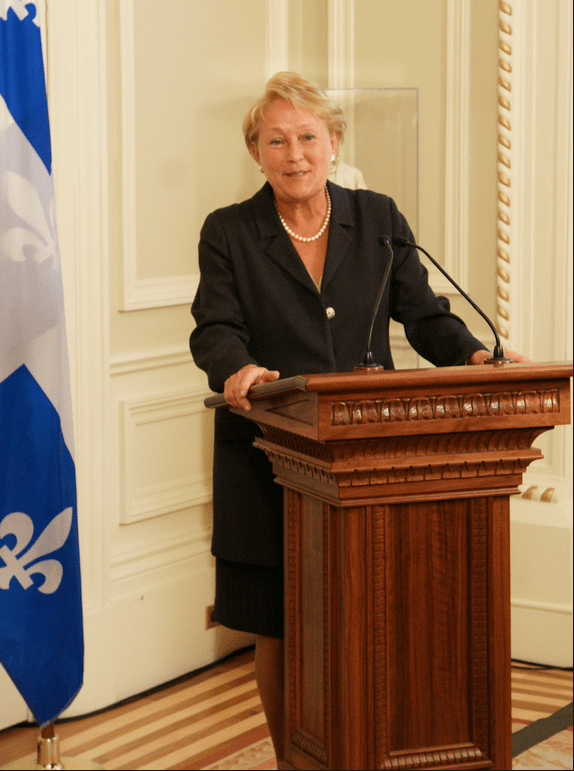 PQ chef Pauline Marois. Photo courtesy of Flickr. Excitement is growing for the upcoming provincial election. Concordia has closed its doors, leaving students with one less excuse not to go out and cast their vote. As of September 4, people will be rushing to the polls to decide who will be the next premier of Quebec. Can Jean Charest join a legend like Robert Bourassa and become the premier of Quebec an incredible four times? Only time will tell. I am, however, sure of one thing: we cannot have Pauline Marois and the Parti Quebecois lead Quebec. “We are a sovereigntist party,” Marois once told reporters. The PQ wants a sovereign Quebec. It is no secret and Marois has publicly said that she is ready to spend taxpayers’ money to promote her party’s vision of an independent Quebec, should they be elected. The Liberal candidate for Nelligan, Yolande James, told CBC that she thinks this is absolutely preposterous. That being said, the Parti Quebecois has stated that they plan to implement news laws such as extending Bill 101 to apply to small businesses and introducing mandatory French language tests for civil servants. This is the type of legislation that could potentially limit people’s rights and freedoms in this province. People living in Quebec should have more access to bilingualism, not less. They should be able to send their children to whichever school they want, to be able to open a business without their every move being scrutinized. Over the course of the year, Marois appeared to be hoping to score many student votes by sporting a red square during her speeches, as well as supporting the student strike over the tuition hikes proposed by the Liberals. Where is the red square now? In late June, she decided to drop it, telling media stations that she will be sporting the fleur-de-lis instead. Many students didn’t buy it. “If she doesn’t wear the red square, she’s won the championship of hypocrisy,” said Charest to the Canadian Press when she stopped wearing it. It seems quite unlikely that Marois will appeal to students much more than Charest in the upcoming election. Taking off her red square is a sign that she could end up taking the same position Charest did on the tuition hikes if elected, despite claiming to support the movement. It’s no secret that Quebec is bleeding money of late, and at a time when we desperately need our funds to go to more urgent matters, who would choose to have it thrown away to promote a referendum that is so unlikely to pass? It is clear that the PQ is the wrong choice in this upcoming elections, but far less clear who may be the right one. Whatever the case, don’t take a back seat on election day.